Clients can avail from us, proteinaceous Moong Dal . Our Moong Dal has rich nutritional content and is easily digestible. 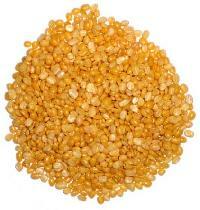 Moong Dal manufactured, exported and supplied by us is hygienically processed to keep its nutrient content intact. The Moong Dal comes in suitable packaging which protects it from getting contaminated by insects or fungus.